Today’s clinical research system is too slow, too expensive, and often doesn’t answer questions that matter most to patients, some experts say. Joe Selby, M.D., M.P.H., executive director of the Patient-Centered Outcomes Research Institute, or PCORI, in Washington, D.C., wants to change that by moves such as establishing a national network of health care stakeholders and patient data that includes the statewide OneFlorida Clinical Research Consortium. “PCORI is transforming the culture of clinical research from one directed solely by researchers to one driven by the needs of patients,” said Selby, who delivered the keynote address at the OneFlorida Clinical Research Consortium’s third annual stakeholder meeting, held at the George T. Harrell, M.D., Medical Education Building. Established by the Affordable Care Act in 2010, PCORI has built a national research infrastructure – PCORnet – aimed at shorter implementation times, reduced research costs and study results that are relevant to clinicians and patients. Selby addressed a gathering of more than 200 researchers, clinicians and other stakeholders who are part of the OneFlorida Clinical Research Consortium. This statewide clinical research network and database became one of 13 clinical data research networks in the national PCORnet network in August 2015 with the help of a three-year, $7.9 million funding award from PCORI. The grant’s co-principal investigators are Betsy A. Shenkman, Ph.D., chair of the department of health outcomes and policy in the UF College of Medicine and director of UF Institute for Child Health Policy, and William Hogan, M.D., M.S., director of biomedical informatics at the UF Clinical and Translational Science Institute and a professor in the UF department of health outcomes and policy. The consortium’s Practice-Based Research Network consists of community-based practices, academic institutions and large metropolitan health systems throughout Florida. It also serves as the umbrella organization for research alliances focused on specific health areas. Selby said that engaging patients, families, caregivers, clinicians and other stakeholders in the research process is at the center of PCORI’s plan to transform the culture of health care research. “Patients have unique perspectives that can change and improve the questions researchers ask in scientific studies,” he said, adding that in patient-centered research, “patient partners” are not research subjects in studies; rather, they are members of the research team who offer their perspectives on everything from formulating research questions to designing the study to disseminating the results. The OneFlorida Clinical Research Consortium engages the public in its research programs through the Citizen Scientist program at UF’s Clinical and Translational Science Institute. In 2016, a separate Teen Citizen Scientist group formed to provide advice and feedback on pediatric-oriented research studies. Selby and PCORI also hope to revamp the health care research system by leveraging patient data in the nation’s growing repository of electronic health records. The OneFlorida Data Trust, housed on the University of Florida campus, holds EHR data representing 10.6 million patients throughout Florida. This includes claims and encounter data for Floridians enrolled in Medicaid and robust patient-level electronic health record data, such as diagnoses, procedures, medications, patient demographics and other data elements. The members also engage in comparative-effectiveness research to provide the crucial evidence needed to support the kinds of clinical decisions that doctors and patients make every day, Selby said. For instance, although recommending a daily aspirin to prevent heart attacks in at-risk patients is a widely accepted clinical practice, no studies have addressed the issue of optimal dosage. The PCORI-funded ADAPTABLE aspirin study, a pragmatic randomized trial involving 20,000 patients nationwide, aims to answer this question. The study incorporates eScreening, eEnrollment and eFollowup to enroll and engage patients. Shenkman said in the coming months, the OneFlorida Clinical Research Consortium plans to expand its partnerships with health care clinics, clinicians, patients, researchers and other stakeholders. 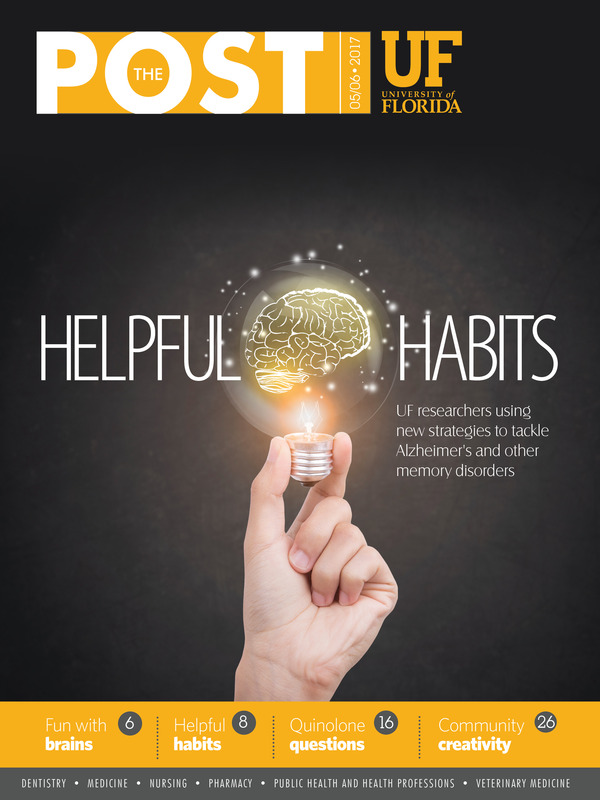 “Our vision of creating a statewide network of research partners and a vast research database that reflects the diversity of Florida’s patient population has now become a reality,” she said.